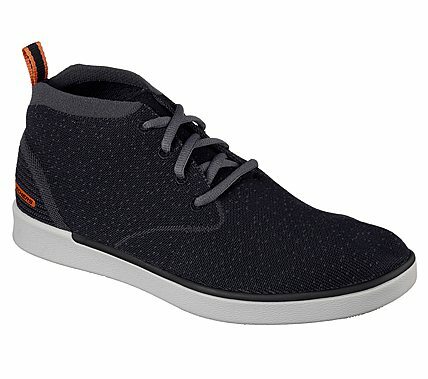 Take action in the sleek knit style and wonderful comfort of the SKECHERS Boyar - Taction shoe. Soft knit mesh fabric upper in a lace up sporty casual mid high top sneaker oxford with knit-in design accents. Air Cooled Memory Foam insole.